Hi, my name is Geoff Loomes. I like dark chocolate, swimming in the ocean and sleeping! I also like solving problems, and back in 2014, I had a big one. I needed to find a way to expand my health and fitness centre and to support a much larger community of people, WITHOUT committing more of my time. You see, I was burnt out! All the early mornings, long days and late nights I’d spent building my business had taken their toll. It was clear I needed a new, smarter way to manage the demand I was experiencing. That’s when I was introduced to health challenges. The concept was fairly simple; invite a team of people to follow some simple health habits each day, while motivating and supporting them as a community, online. So I started to search for online software that offered the features I required and, unfortunately, could only find a few templates that offered boring, one-dimensional shopping lists and a few stick-figure exercises. In that moment, everything changed and the concept of My Health Software was born. Over the next three years I took the opportunity to partner with a team of leading designers and developers to create a customisable, professional, automated health challenge that delivered a level of support, accountability and results unlike anything ever seen before. A health challenge that works with online communities of any size, in any location and can be personalised to suit the need of any users. Today we are the market leader in tailored online health challenge software and work with health professionals, businesses and companies all over the world to provide exciting, fun, sustainable health programs that are simple to set-up and easy to run. Geoff has been passionately involved in the health industry since 1998. 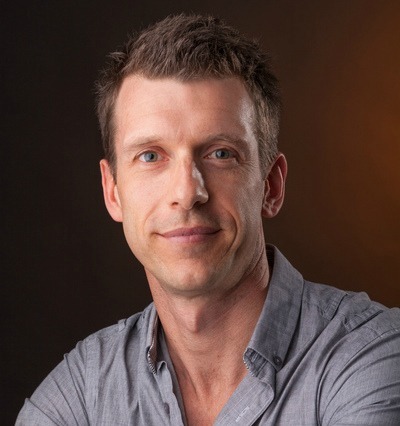 Over the last two decades, Geoff has delivered health and fitness programs to hundreds of health professionals, fitness centres and health conscious companies. Today, he consults with business owners all over the world, helping to deliver technology that rapidly improves leverage, growth, revenue and results. Geoff’s vision is to create a healthier, more active world by providing customisable, user-friendly health solutions that motivate, educate and support sustainable change.